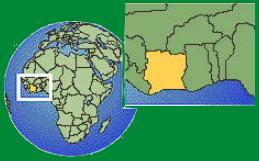 Cote d'Ivoire, or Ivory Coast, is a country of more than 17 million people located in western Africa. For several hundred years, the country was a French colony. 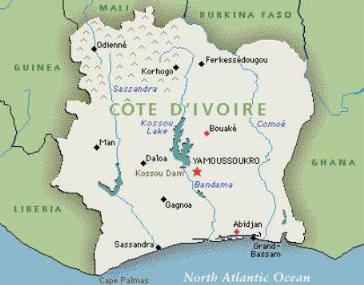 Gaining indepdence in 1960, Cote d'Ivoire was one of the most stable and prosperous African states until the late 1990s. Then falling cocoa prices and political turmoil have hurt the standard of living for many Ivorians. The country is just now recovering from a civil war that began in the fall of 2002. During the civil war national Church of God pastors and members took in the displaced, contributed to relief funds, and spoke to the needs of the people. The Church of God in Cote d'Ivoire was challenged by the civil war, but has risen to the challenge.